Today Billy Mills is not only the only Native American to win the 10,000 meter gold medal, but he is still the only American citizen to win an Olympic gold medal in the 10,000 meter run. William Mervin "Billy" Mills, also known as Makata Taka Hela (born June 30, 1938), is a Native American who won a gold medal in the Olympic Games. He accomplished this feat in the 10,000 meter run (6.2 mi) at the 1964 Tokyo Olympics, becoming the only person from the Western hemisphere to win the Olympic gold in this event. His 1964 victory is considered one of the greatest Olympic upsets, because he was a virtual unknown going into the event. A United States Marine, Billy Mills is a member of the Oglala Lakota (Sioux) Tribe. William Mervin Mills was born in Pine Ridge, South Dakota, and was raised on the impoverished Pine Ridge Indian Reservation for Oglala Sioux people. His given native name, Makata Taka Hela, loosely means "love your country." He was orphaned when he was twelve years old. Mills took up running while attending the Haskell Institute, which is now known as Haskell Indian Nations University in Lawrence, Kansas. Mills was both a boxer and a runner in his youth, but he gave up boxing to focus on running. He attended the University of Kansas on an athletic scholarship. He was named a NCAA All-America cross-country runner three times and in 1960 he won the individual title in the Big Eight cross-country championship. The University of Kansas track team won the 1959 and 1960 outdoor national championships while Mills was on the team. After graduating with a degree in physical education, Mills entered the United States Marine Corps. He was a First Lieutenant in the Marine Corps Reserve when he competed in the 1964 Olympics. 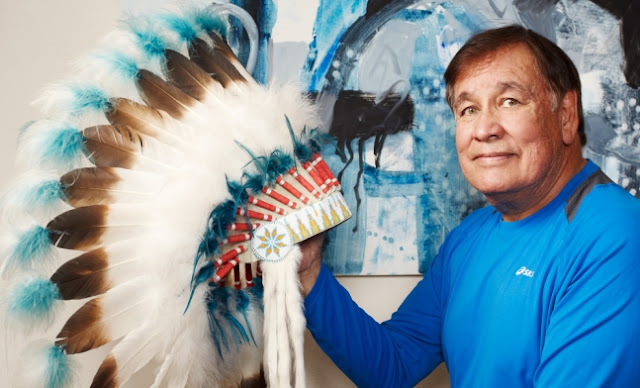 Today Billy Mills is the spokesperson and founder of Running Strong, an organization dedicated to helping American Indian people meet their immediate survival needs while creating opportunities for self-sufficiency and self-esteem in American Indian youth. 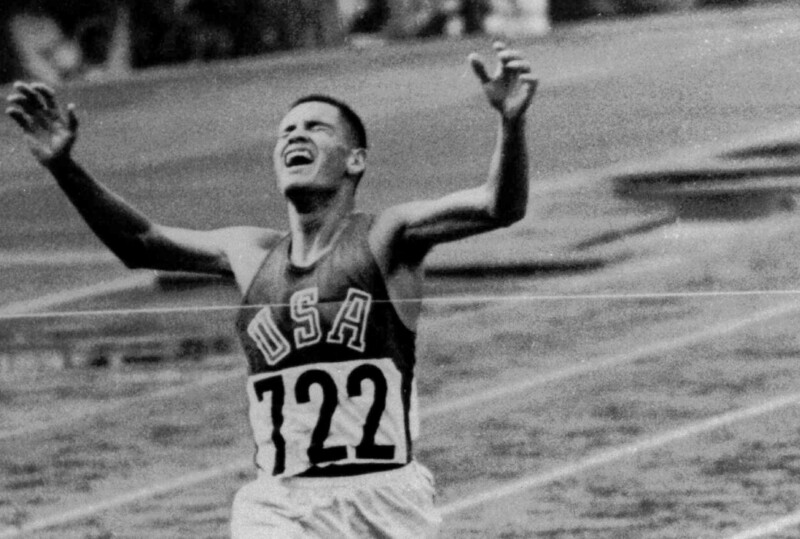 Responses to "Gold Medal Oglala Lakota Olympian Billy Mills Celebrates his 79th Birthday "